Cask Days began in 2005 on the patio of barVolo as a fairly intimate gathering of attendees who were enthusiastic about cask-conditioned beer. 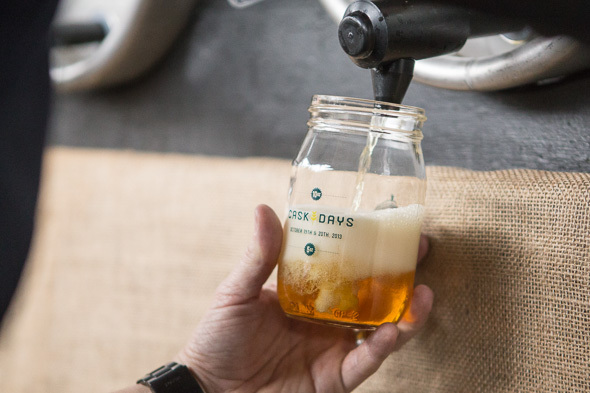 They sipped unpasteurized, unfiltered beer which had been carbonated naturally via a secondary fermentation inside one of the 21 casks on hand that day. 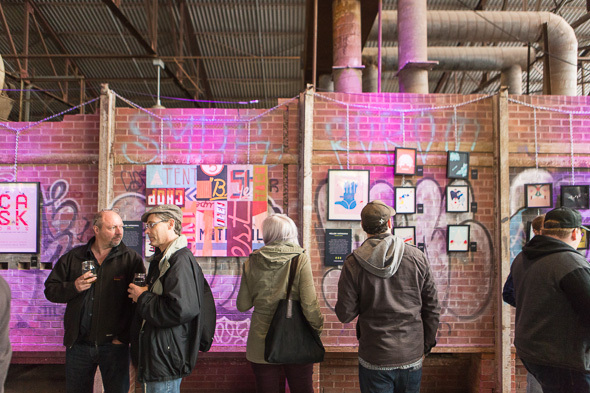 This past weekend, celebrating the 9th anniversary of Cask Days over two brisk days at the Evergreen Brick Works, it was clear that the event has grown from its humble beginnings on Yonge Street to become a full-blown beer phenomenon. 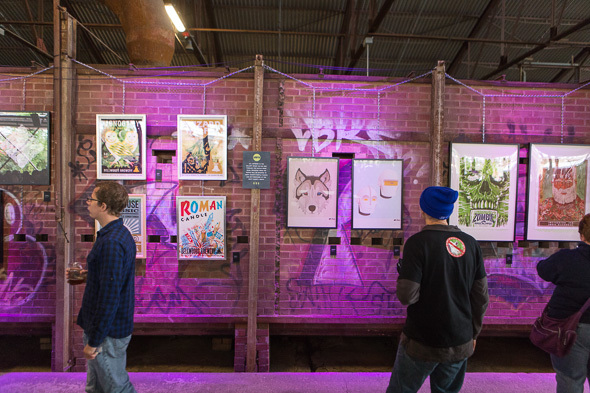 Here's how the Morana family, those crafty organizers of Cask Days, did it. 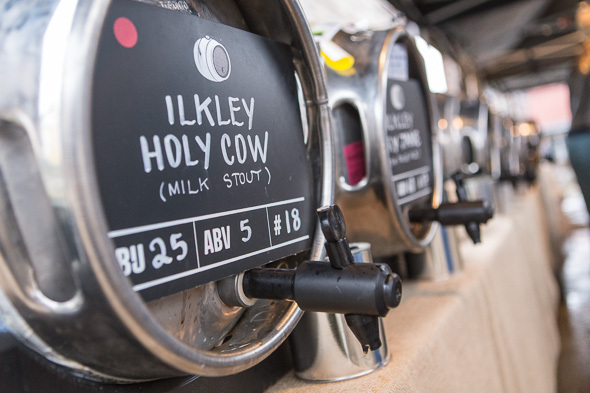 For starters, they've steadily increased the amount of beer available, upping the amount of casks available ten-fold. 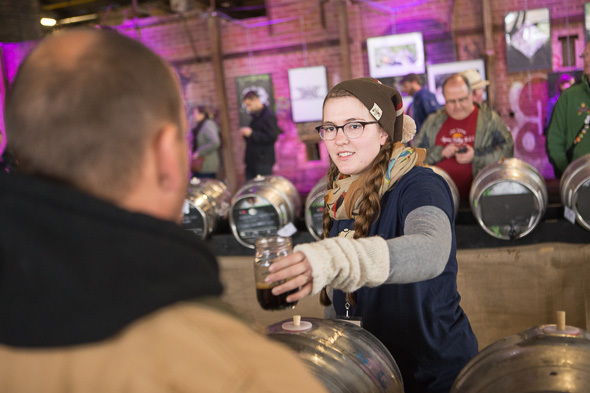 This past weekend saw 230 different casks of beer from 124 different brewers offered over the course of three sessions. To put that in perspective, that's roughly 9200 litres of beer — enough to fill five of these sweet kiddie-pool-and-slide combos available at Walmart (idea for next year's Cask Days?). And while there were some cask versions of some familiar offerings here, the beer on hand included many more exotic offerings like the Beetified Bohemian Beet Beer from Grand River and a Gummi Bear Pale Ale from Liberty Village Brewing Company; just a small taste of the experimental offerings available at the 2013 iteration of Cask Days that would probably blow the minds of anyone who attended the original 2005 event. The attendance has grown significantly since the event's conception, too. 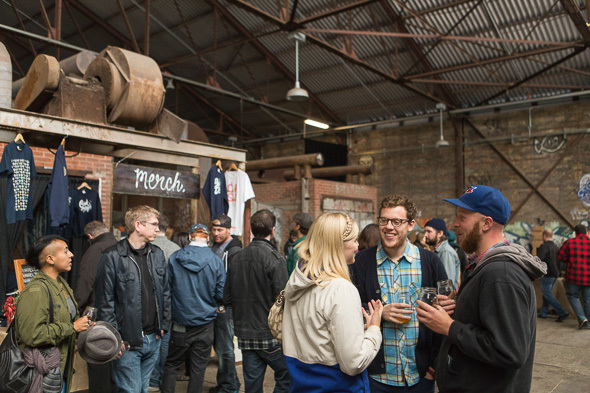 What started as a fairly-packed but small patio of revellers in 2005 has ballooned into roughly 4500 people who made their way to the Brick Works over the two days of Cask Days — a selection of attendees composing a far broader demographic than your standard beards-and-flannel beer-enthusiast sect (yes, the beards and flannel were out in full force too, obviously — not to mention the vikings). 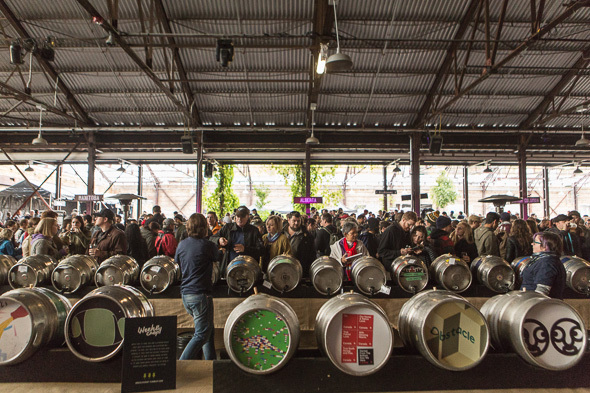 Geographically, Cask Days has expanded its scope as well. What once was a small tribute to some interesting Ontario beers has become not only a country-wide celebration of beer but a veritable international sensation, welcoming brewers from not only Alberta, British Columbia, Manitoba, Nova Scotia, New Brunswick, and PEI, but also, for the first time this year, featured beers from the United Kingdom. And while this is obviously great news for Toronto's beer drinkers, it also means that people from those areas are starting to see Toronto as a beer destination, too. For those who can't drink beer, there was also an entire area for gluten-free beers and a downright respectable list of great-but-underrated cider offerings from Canada's growing fermented-beverage alcohol industry (seriously, with cask versions of Les Vergers de La Colline Hop Cider Hybrid, Spirit Tree Red Sumac-infused Crab Apple Cider, West Avenue Cider Cherry Beach Barrel-Aged Cherry Cider, and a handful of others on tap, Cask Days might also be growing into one of Ontario's best cider events, too). 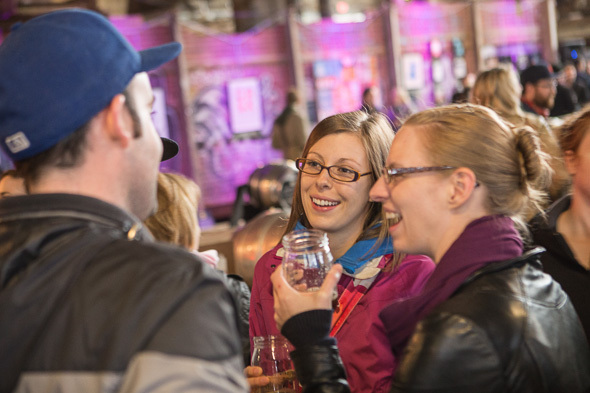 Furthermore, with the inclusion of live DJs, an art gallery showcasing beer-label artwork, and food from local restaurants like Bar Isabel, Parts and Labour, Ceili Cottage, Hogtown Charcuterie, and more, the two day festival has become far more than just a beer event. 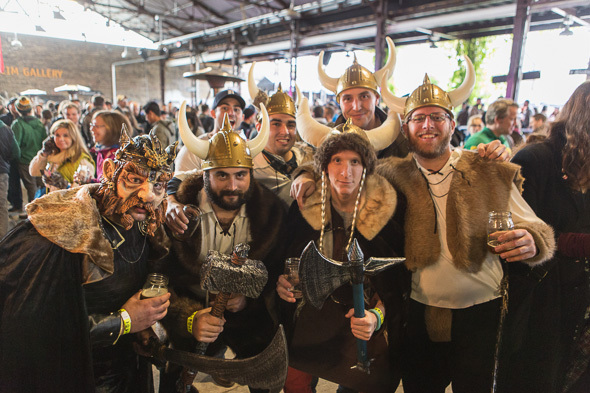 Instead, it has become an event with mass appeal, exposing a whole new and growing swath of people to craft beer. The result is that beer fans and mirth-seekers alike get access to a plethora of new and interesting beer they really can't get anywhere else. 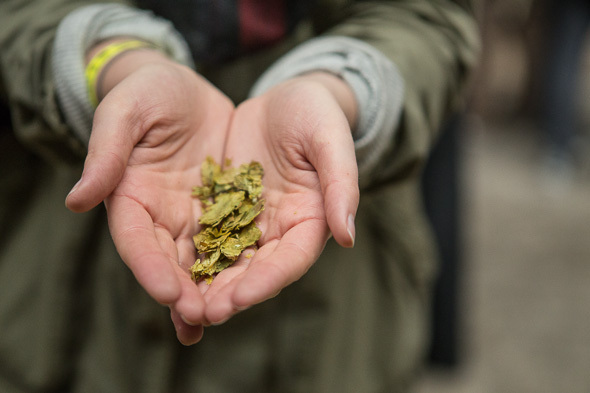 And so regardless of one's motives for being there, it's virtually impossible to attend without being exposed to something new — arguably the best and most valuable part of any beer festival. Ben Johnson also writes about beer over on Ben's Beer Blog. You can follow him on twitter @Ben_T_Johnson.